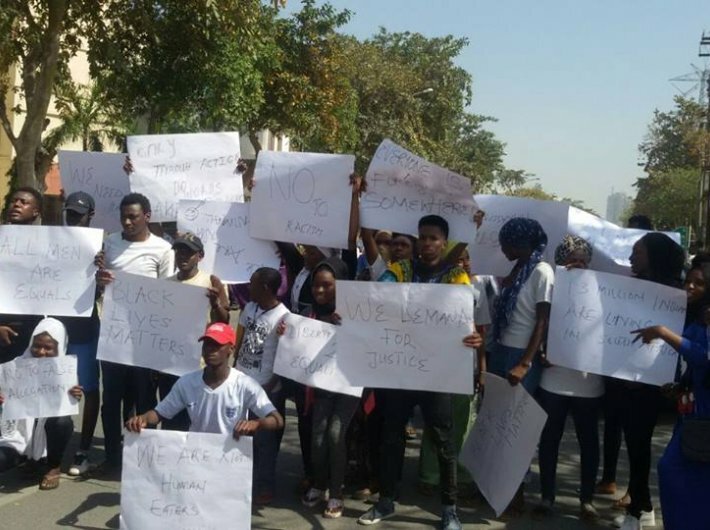 “We have requested more security from the government of India and the Uttar Pradesh government,” said Abdou Ibrahim, senior adviser, Association of African Students (AASI) following an attack on four students from Africa in Greater Noida, Uttar Pradesh. He added that the students from Africa will “finish their studies, but never return to India”. Ibrahim assessed that “India will lose connect with Africa. The continuity will be lost”. He said that boy who five African students were accused of kidnapping had come back home. “The accusations were absolutely false. They have been wrongly accused of selling drugs,” he said. This is not the first time that Africans have been attacked in India. In May 2016, over a dozen African nationals were attacked in Rajpkhurd village of Chhatarpur, South Delhi. Locals objected to the “free lifestyle” of these men and women who stayed in the area. In February 2016, a mob attacked the 21-year-old woman as she drove with friends in Bengaluru, beating her, tearing off her shirt and setting the car ablaze. The attack was an apparent revenge for a fatal road accident in which a Sudanese man had allegedly run over a woman less than an hour before. Somnath Bharti, a former law minister of Delhi, Bharti was accused in 2014 of harassing African women after he led a vigilante mob that accused them of being prostitutes. In 2013, a Nigerian national was killed by a mob in Goa. State minister Dayanand Mandrekar called Nigerians a “cancer”.